Are you embarking on a new journey, a new chapter of your life? 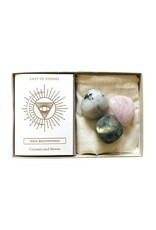 Cast of Stones has put together the perfect stone set for you to create your own destiny. 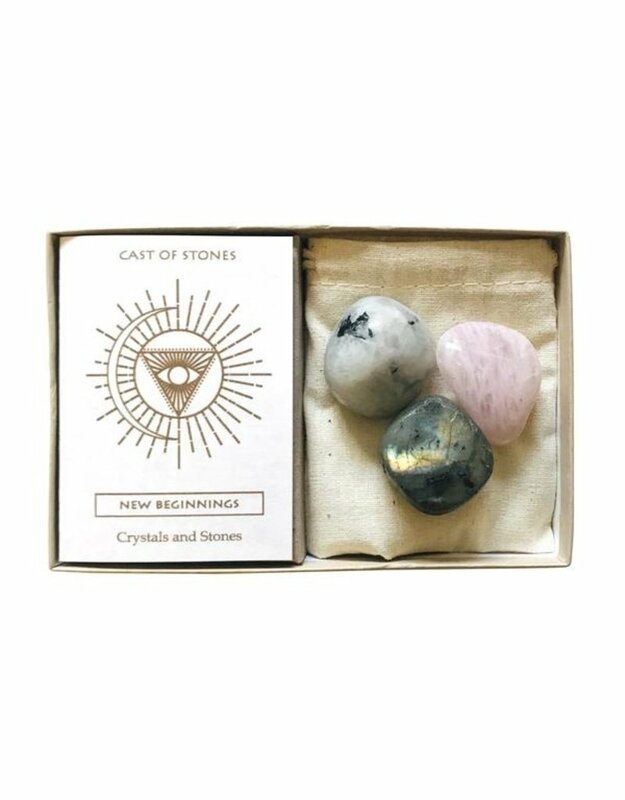 The New Beginnings Stone Set includes three stones, each magical in their own way. Rainbow Moonstone: It eases the pressure and stress of everyday life. It has a calming feminine energy to help you navigate down your own path. Rose Quartz: Being the stone of love, rose quartz provides additional love to you and your life. Its energy allows you to feel more balanced within your emotions. Labradorite: Known as a transformation stone, labradorite helps you become more in tune with your true self. It's also known for being the most protective against negative energy. When starting your new journey, these crystals are incredibly useful to give you that extra backup!